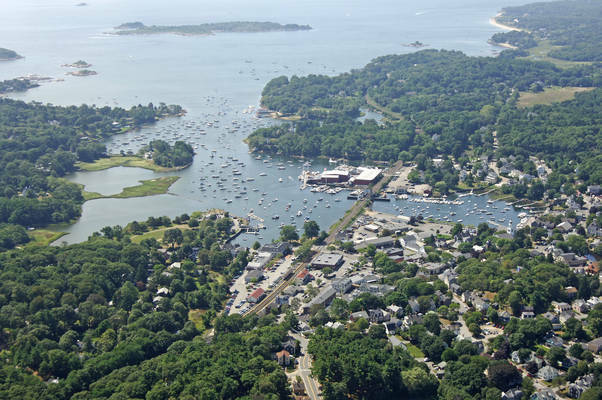 Manchester Harbor is located about eight miles northeast of the towns of Salem and Beverly, and Gloucester is only eight miles farther northeast up the coast. 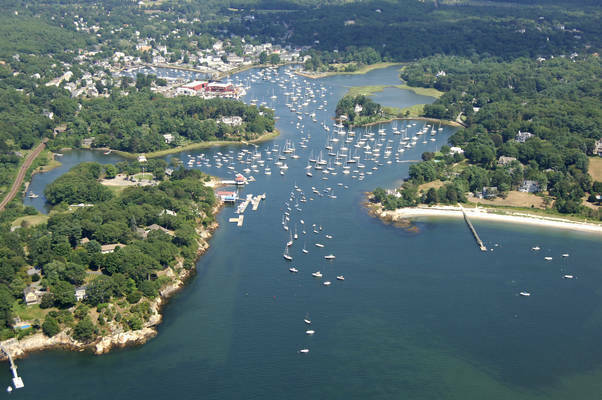 Manchester Harbor is well equipped in both marinas and for those who wish to anchor out or tie up to a mooring ball. Depths are good here, but if you draw more than five feet, we recommend arriving on a rising tide. Manchester is primarily a residential community encompassing 7.7 square miles in Essex County on the northeastern Massachusetts coast. It is bordered on the west by Beverly and Wenham, on the northwest by Hamilton, on the north by Essex, on the east by Gloucester, and on the south by the Atlantic Ocean. 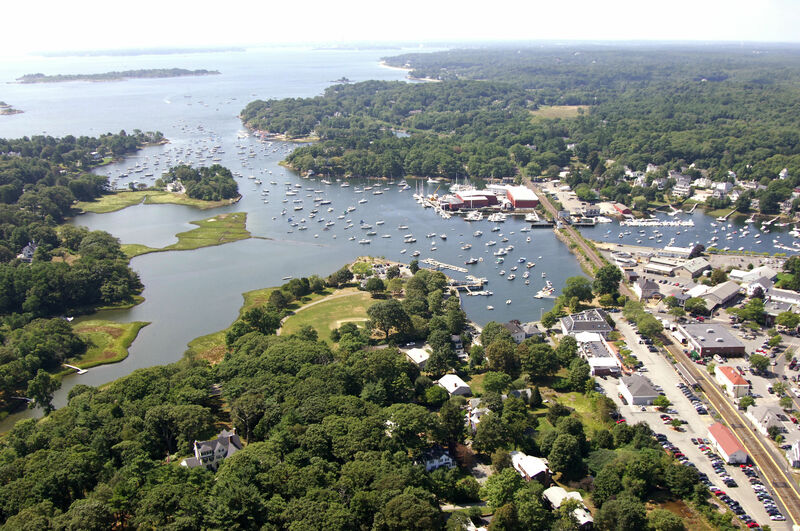 Located 32 miles from Boston, the towns chief access roads are state highways 128 and 127. Frequent train service is provided by the Massachusetts Bay Transportation Authority (MBTA). The towns land surface ranges from 100 to 160 feet above sea level. The soil, poor and stony, with considerable areas of wetlands, is a result of New Englands glaciers. A 12.8 mile tidal shore line provides several beautiful beaches, a renowned yachting harbor, and commercial lobstering. The Town of Manchester-by-the-Sea was included in a grant of land to the Massachusetts Bay Colony made in 1629 by Charles I who signed the charter in that year. By June of the same year the first ship, the Talbot, dropped anchor in Manchester Harbor carrying settlers who were attracted by "the promise of a safe harbor, streams of water, the sheltering hills and an abundant opportunity for building fish nets, which offered an almost ideal spot for the planting of a new settlement. From the Salem Channel, take note of both Whaleback and Saull rocks, which are marked by red daybeacon "8" and green daybeacon "1," respectively. 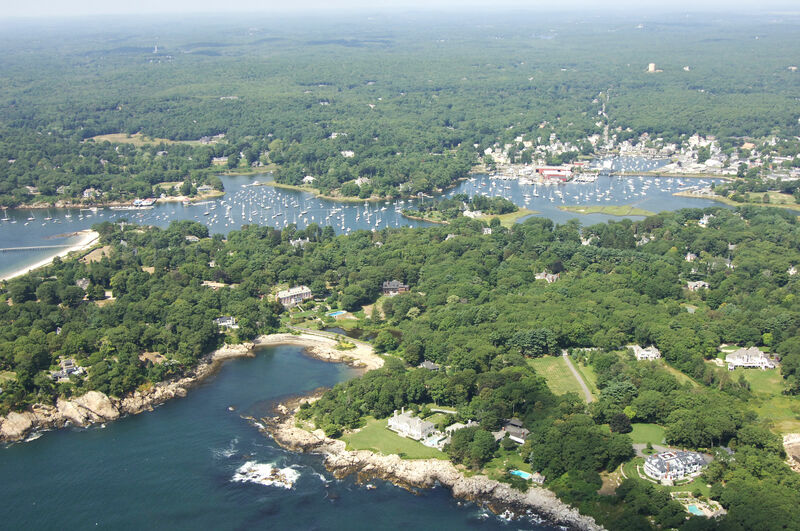 From green daybeacon "1," Head northeast along the Manchester Channel, making sure to leave red nuns "2" and "4" to starboard at White and Halftide ledges, respectively, and then pick up green can "5," which starts out the main approach channel to Manchester Harbor. Manchester Harbor and the entrance channel both have reported depths of eight feet, with seven-foot depths in Proctor and Whittiers coves. When you are entering Manchester Harbor, you will see many anchored and moored boats lining the channel. This warrants a lookout for boats that are arriving and departing their moorings, as they can pop out of the mooring field at a moment's notice. 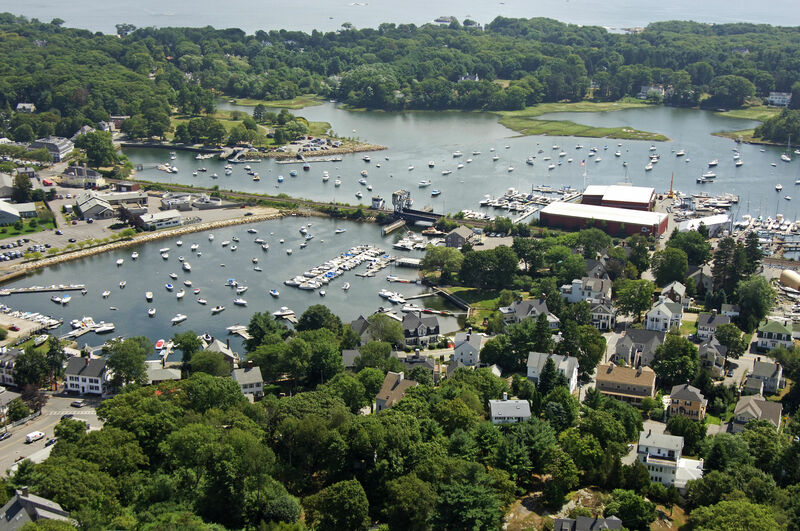 Marinas are located on both sides, but most are situated around the railroad bridge farther up the harbor in town. Besides yachting fishing and enjoying the beaches, there are a number of local events that take place throughout the season. Take a look at the calendar of events schedule in the "Helpful Links" section below. Local train service to Boston is provided by the MBTA's Newburyport/Rockport line. Logan International Airport is reachable through the MBTA train, or by private shuttle, which can be organized through the airport. For a detailed train schedule and more detailed information on travel in and out of Manchester, check out the "Helpful Links" section below. No reviews yet! Be the first to write a review of Manchester Harbor.